Brief synopsis: Several years after sisters Emma and Cass disappear, Cass reappears alone. She comes with a story of what happened the night her and her sister disappeared and what has happened since then. Told from switched perspectives of Cass and forensic psychologist Dr. Abby Winter, this story is a classic case of the unreliable narrator. What happened, and why is Cass back now? 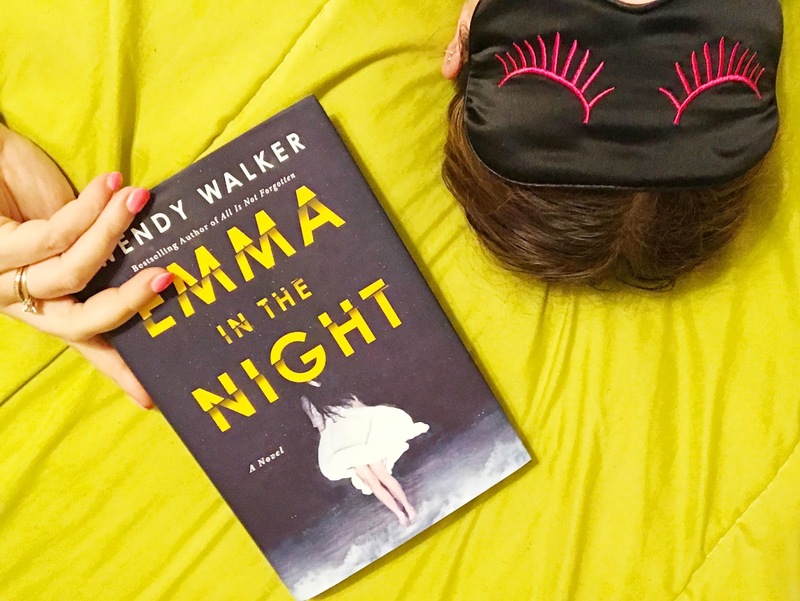 Emma in the Night is definitely an interesting story, and something new from a lot of the other "girl" thrillers that readers tend to compare to each other. Unfortunately (for me), I figured the story out fairly quickly - which always takes points away for me. However, the story is interesting enough that I really enjoyed it. The character was unreliable, but also believable, so it's difficult to figure out if she's trustworthy or not. I really enjoyed the psychological aspect of this novel, which places a large focus on narcissism disorders - both through the narcissism of one of Cass's parents, as well as through the research of narcissism (delivered by Dr. Winter). While the story was overall unbelievable, I appreciated it as a novel. I think there were some underlying tones that were definitely intriguing, but I can see this novel not being one everyone would love. I didn't love the writing style, but again, the story interested me enough that I enjoyed the novel overall. Sounds pretty interesting- but it's a bummer when you're able to figure things out before they happen!